Do you remember reading Saint Exupéry’s The Little Prince? Who thought he’d ever be relevant for business? Yet if you can remember the story and the image of the snake that swallowed the elephant, it’ll help you remember for ever the shape of Roger’s change/innovation adoption curve. If you are yet more informed, you may remember it from Geoffrey Moore’s much-quoted 1991 business bestseller ’Crossing the Chasm’. 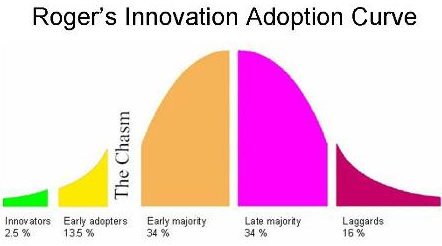 The change/innovation curve first sees the innovators (risk takers who desire to try new things, even if they fail) and moves to early adopters, early majority, late majority, and laggards. You will notice there is a vast chasm between the early adopters and the early majority. While early adopters are attracted to change and want the advantage of being first, the early majority waits until they know that the change/innovation actually offers improvements worth their while. The challenge for innovators, change agents and communicators/marketers is to narrow this chasm and ultimately accelerate adoption. the innovation – communication channels – time – and … a social system. Achieving acceptance and adoption tends to be much harder with the late majority: They will usually only adopt in reaction to peer pressure or economic necessity. Most of the uncertainty around an idea must have been resolved for them to adopt. All the while, the laggards simply prefer to rely on past experience. Think of different scenarios for this concept – I, for example, am an early adopter where it comes to social change; however, with certain new technologies, count me amongst the laggards … For those of us working in Corporate Responsibility, we certainly experienced the companies that only came around to it through stakeholder pressure, or being left behind in the market. What is it like for you? In what areas of professional or personal life do you count yourself among the early adopters or early majority – and where do you tend to be a laggard? A note on not wasting your time: For effective change, invest your energy into the early half of this model, up to including the early majority. They will be your multipliers to eventually convince the other half – while you and your energy are already on to the next change/innovation project. Convincing the late majority and the laggards would simply take too much of your creative, innovative energy and time and would be too much hard Sisyphus work. Do you still talk CSR, or ESG impact? ESG are ‘Environmental, Social And Governance Criteria‘ – a set of standards for a company’s operations that socially conscious investors use to screen investments. We have heard of the Triple Bottom Line before, and of the 3Ps – people, planet, and profit. Here’s ESG: Environmental criteria determine how a company performs as a steward of the natural environment. 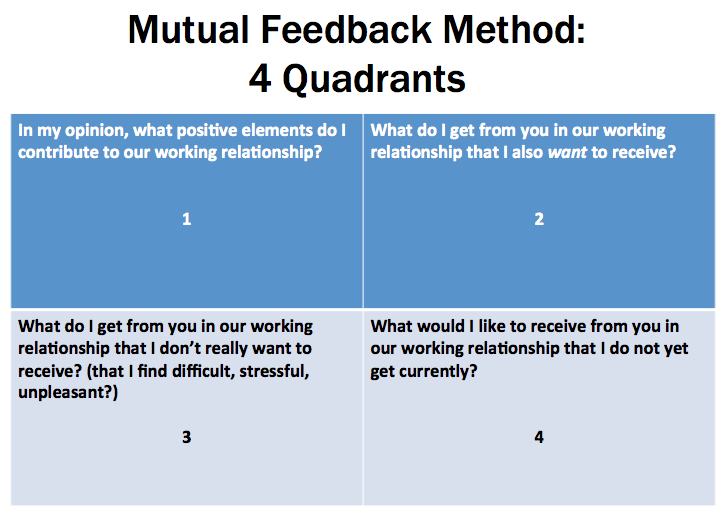 Social criteria examine how a company manages relationships with its stakeholders: e.g. its employees, suppliers, customers, local governments, NGOs, unions, and the communities where the company operates and where its employees work and live. Governance criteria deal with, for example, a company’s leadership, executive pay, audits and internal controls, and shareholder rights. So, from the first Environmental Reports in the late 1980s, to then CSR Reports around the year 2000, soon to be followed by CR Reports, to Sustainability Reports as of around 2005, to now ESG Reports for the past couple of years – the field keeps evolving, and as practitioners, we need to evolve with it … The important thing to remember: it remains all about impact.